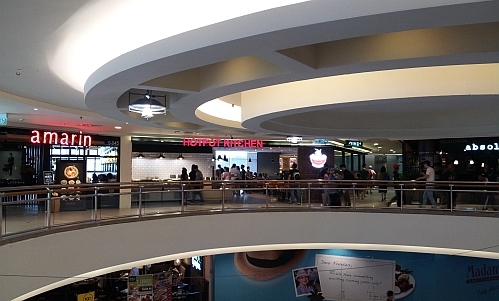 This new eatery at the Midvalley Mall is similar to the eatery that Claire mentioned in her post here. It is located next to Amarin Restaurant, occupying the space vacated by Manmaru Restaurant. You can take your pick of vegetables and meat. 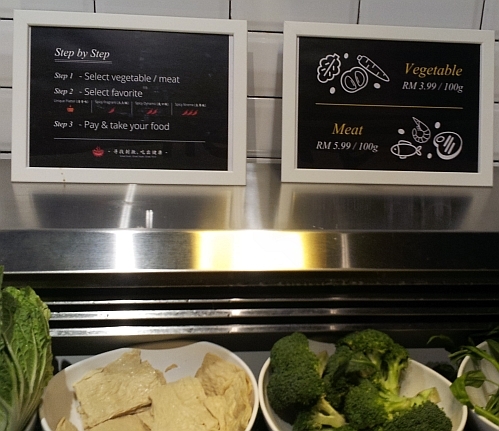 100g of vegetables costs MYR3.99 and 100g of meat costs MYR5.99). 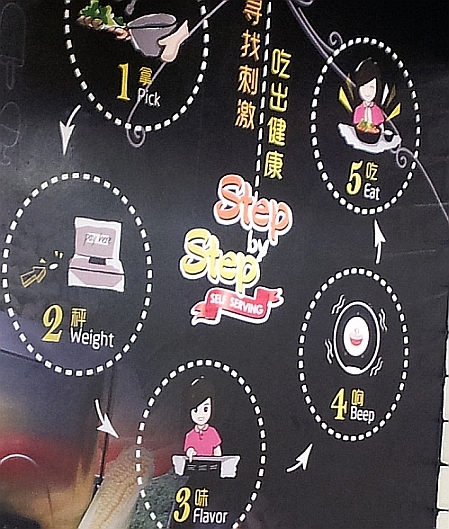 Steps to get your food. 1. Pick your vegetables and meat. 2. Go to the counter to weigh your selection. 3. Choose the flavour of the gravy. 4. wait to collect your cooked meal. 5. Eat and Enjoy the food. I won''t be eating here because I can't eat spicy food. 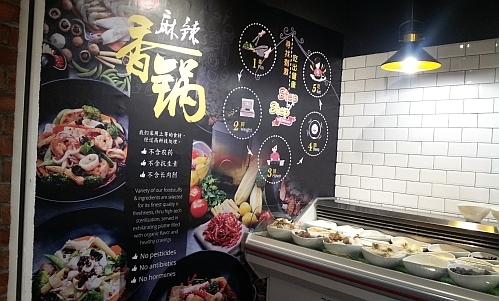 There's a new eat-all-you-can steamboat place here. Was planning to go and try Wednesday but I was invited to a birthday celebration. 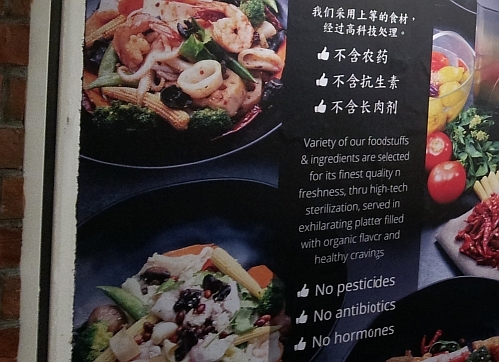 Not organic or anything of the sort though, definitely not as healthy as this hotpot place. Guess you will try another time. Does look healthy but this kind of food not that cheap. Based on weight. Depends on what you take. Oh, something like the one I went in JB? Mine is Malahotpot.. so how did you find the food here? I am not going to try. I like spicy food but it must be tasty. So it will depend on whether or not the spicy sauce is tasty. Can ask them to hold the chilli?